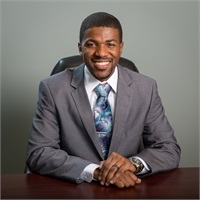 Antonio Jenkins | Consolidated Planning, Inc.
Antonio joined Consolidated Planning in 2015 after several years of success in Banking, Technology, and the Financial Planning Industry. With the phenomenal leadership and support structure at CP, Antonio is 100% confident in solving real life problems that Americans are facing today. Antonio’s goal for all of his clients is to help them achieve financial freedom while eliminating their exposure to the hardship that life can bring. He loves being able to help people from all walks of life but focuses more on families and business owners. For him, there's nothing more satisfying than helping families build a strong financial foundation. Antonio's wife Sharina just left the Banking industry to be home with their two daughters: Madelyn Ryleigh (2 years old) and Savannah Grace (3 months old). He enjoys spending time with his family, flying planes, boxing, and running.